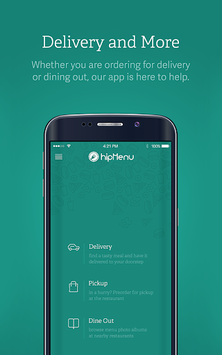 Published by CLOUD TREATS, INC.
hipMenu helps you find your next meal and have it delivered from your favourite restaurant. The enticing photos will help you make the right decision. *Available in Romania: Cluj-Napoca, Timisoara, Oradea and some areas in Bucharest. - Place orders for delivery or pickup at local restaurants. - Pay the same price as in the restaurant. You can pay also online. 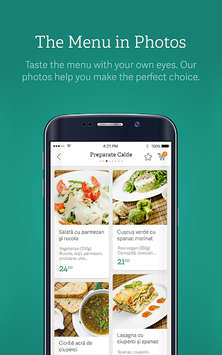 - Browse nearby restaurants to see menus and actual food photos. - Coordinate group orders with your team. 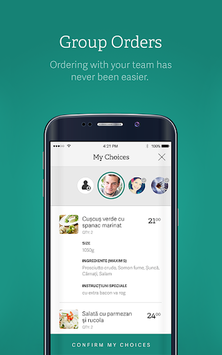 - Translate restaurant menus in over 10 supported languages (English, French, German, Hungarian, Italian, Spanish, Greek, Slovakian, Serbian, Turkish, Polish, Russian, Bulgarian, Czech).